Have you set up your free account with Dish Dish? You can set up your Pro Account (and use our Recipe Import Tool to save recipes from across the web) for less than $2/month! 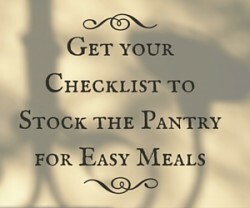 Sign up today and see how to make great use of these recipe organizing features. Let us show you quickly how to get started with Dish Dish, saving and organizing your favorite recipes in an online cookbook. Not sure of the various functions available to you or how to make the best use of them? Check out this overview of features for both free and pro account users.